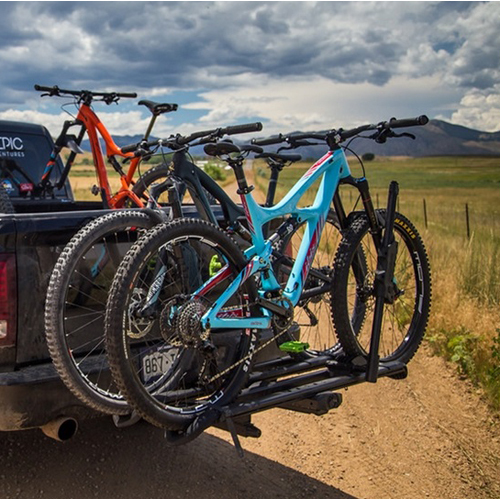 The RockyMounts 10003 MonoRail 2 Bike Platform Style Hitch Mounted Bicycle Rack is RockyMounts newest addition to their platform style hitch racks. 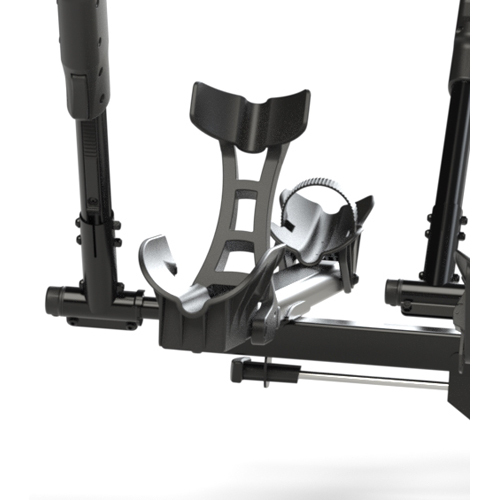 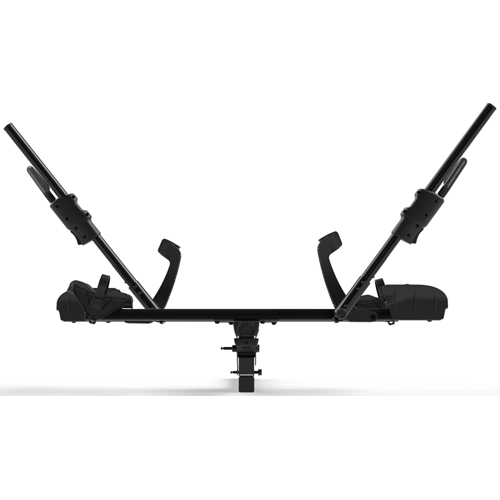 The MonoRail's compact design is tilts easily using an Easy Release Handle to change the profile of the rack to: stow, in-use, and tilt-away positions. 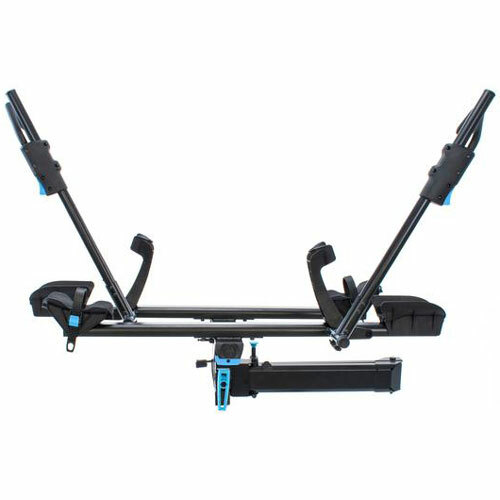 The Easy Release Handle allows convenient, full accessibility to the rear hatch of your vehicle by simply tilting the MonoRail away from the vehicle when the bikes are unloaded. 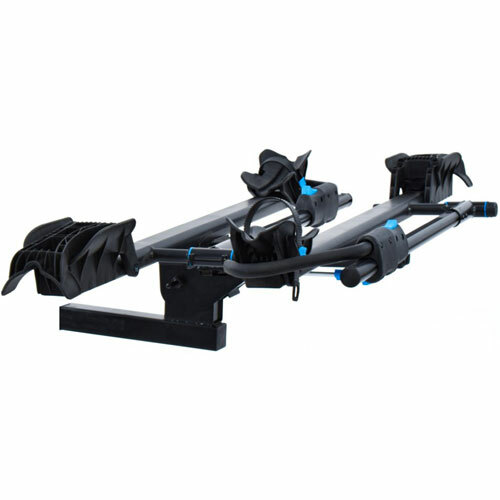 When the MonoRail Bike Rack is not being used, it can be folded up to minimize the profile of the rack off the back of the vehicle or save space when stowed. 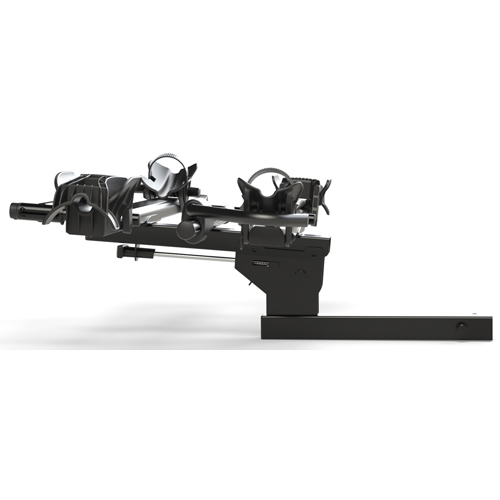 MonoRail's Hitch Tube is constructed of chromoly steel making it strong, durable and lightweight with a corrosion resistant finish. 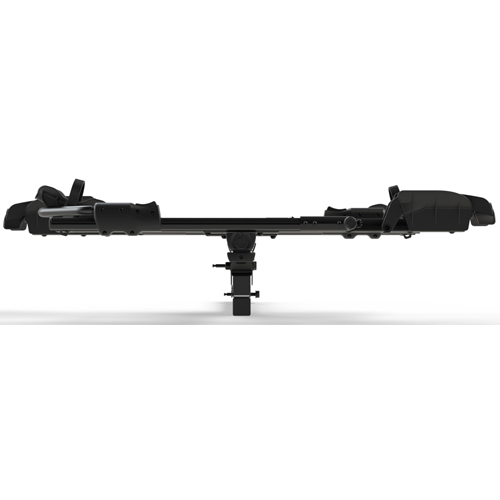 The RockyMounts 10003 MonoRail Bike Rack is specifically designed to fit 1.25 inch receiver hitches only. 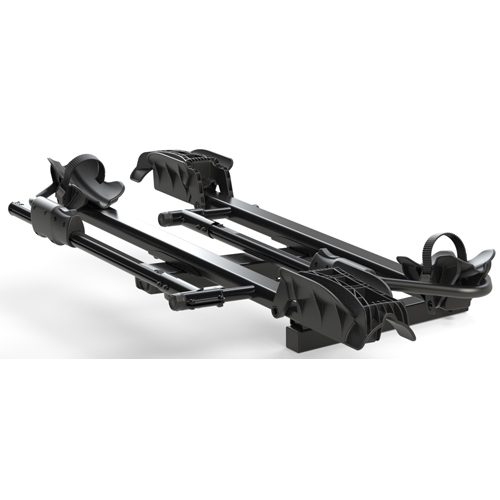 MonoRail uses an anti-wobble locking hitch pin providing a strong, secure attachment to the vehicle. 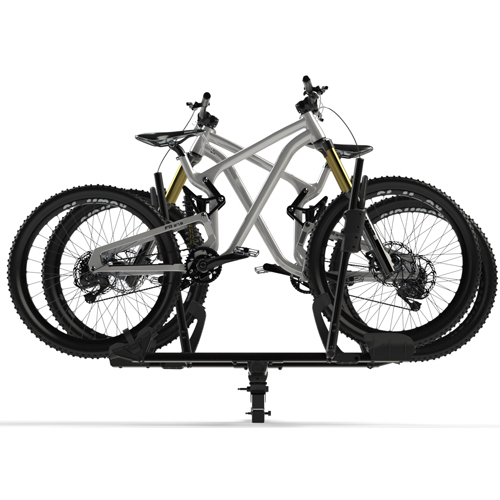 MonoRail is able to transport 2 bikes up to 60 lbs each, 120 lbs maximum. 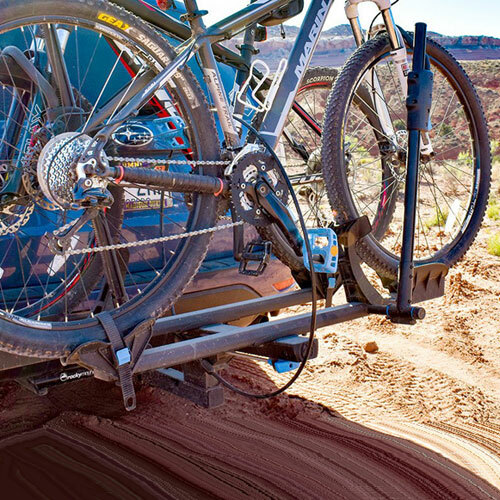 The MonoRail Platform Bike Carrier is incredibly easy to load and unload using RockyMounts no-frame-contact Ratcheting Hook Arms. 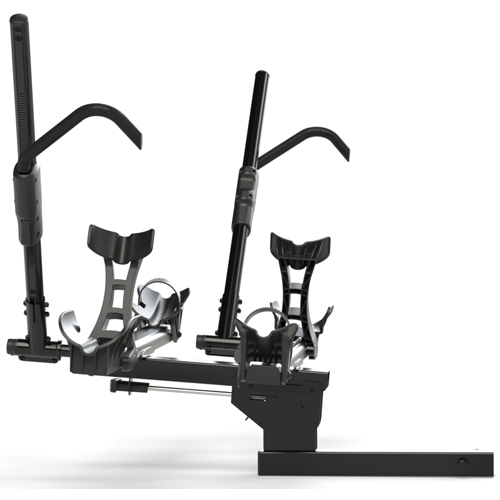 The Monorail Ratcheting Arms accommodate most bikes regardless of the frame design, suspension type, axle style or wheel size. 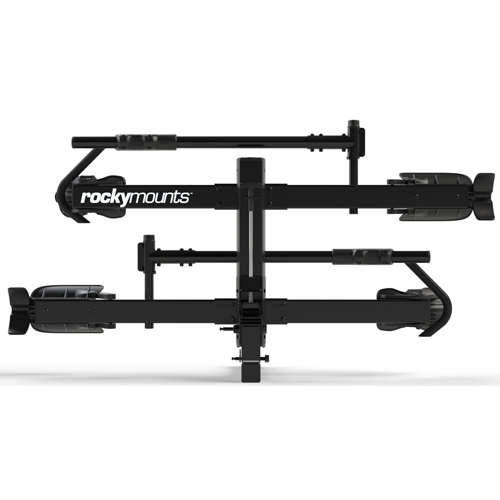 The RockyMounts MonoRail fits up to 48 inch wheelbases, tire sizes ranging from 20 to 29 inches, and fat tires up to 5 inches wide. 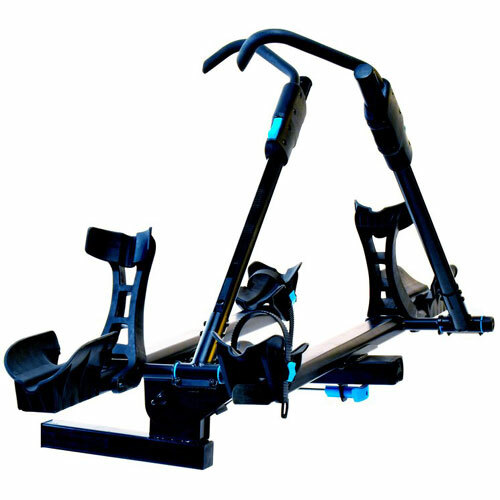 Wheel straps are used to secure your bike's back wheels to the tray. 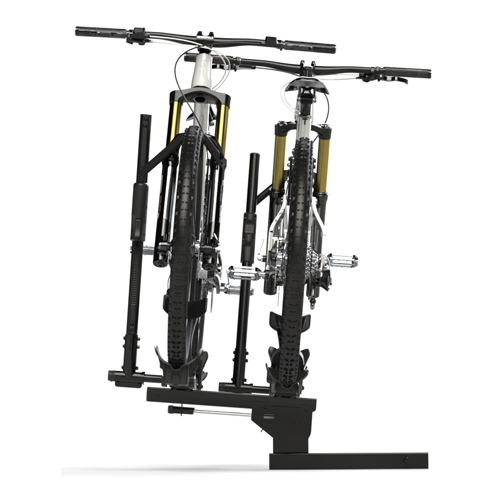 The MonoRail bike trays allow 13 inches of spacing between bikes and 3 inches of side-to-side adjustment to help avoid seat to handle bar interference. 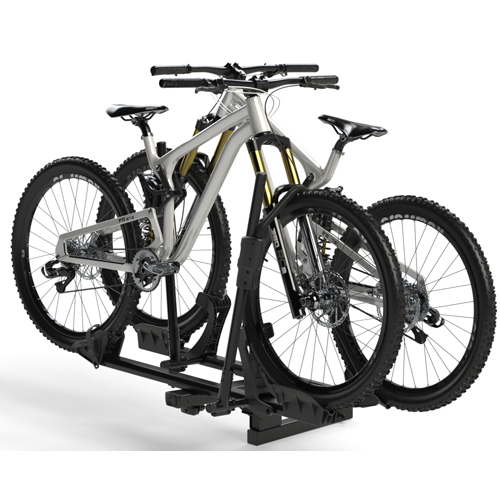 The MonoRail includes Integrated Cable Locks to lock your bikes to the rack.